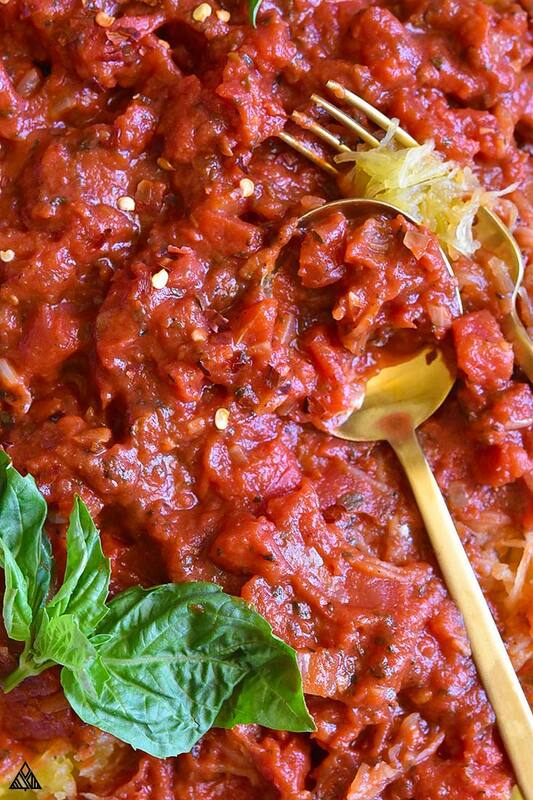 Low carb spaghetti sauce is one of the most versatile options to stash in your recipe rolodex! It’s the type of dish that can be prepared ahead of time, super easy to make, plus it’ll make your house smell just like a little trattoria you’d find walking along the cobblestone streets of Naples, Italy. 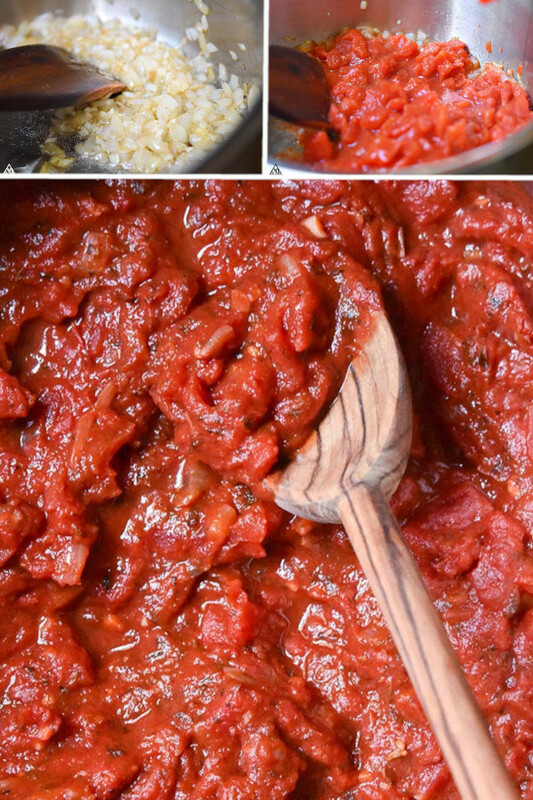 While you may think making spaghetti sauce is daunting, you’d be pleasantly surprised at how simple it can be. All you’ll need are just a few easy ingredients on your low carb shopping list. 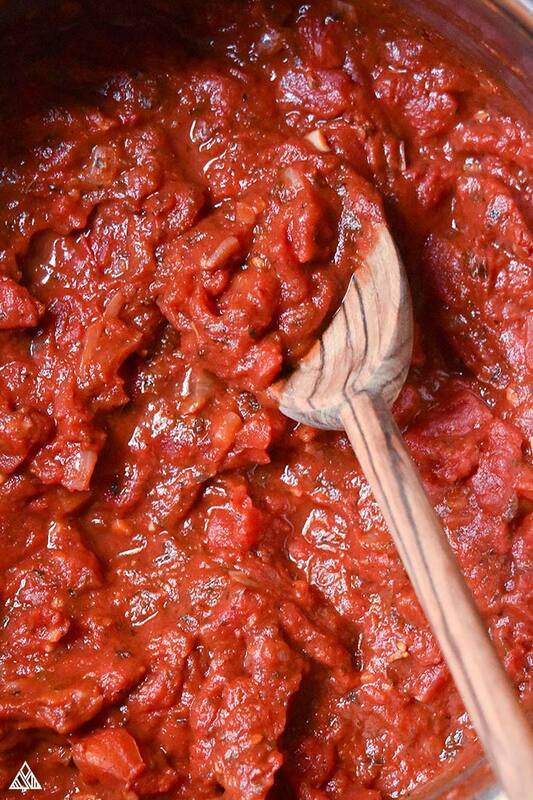 Plus, whenever you make homemade spaghetti sauce you’ll be adding way fewer ingredients and avoiding those pesky preservatives that always seem to rear their heads in cans or jars. One of the easiest recipes you could make for dinner or for a quick afternoon lunch involves this low carb spaghetti sauce recipe. Not only is this extremely easy to whip up any night of the week, but it’ll provide loads more flavor than any old store-bought sauce! You’ll start out by adding some olive oil to a pan over medium heat. Make sure to get that pan warm, but not too hot. Once the oil starts to shimmer, add the diced onion and cook until translucent. It’ll be about 12 minutes. Can you smell the deliciousness yet?! 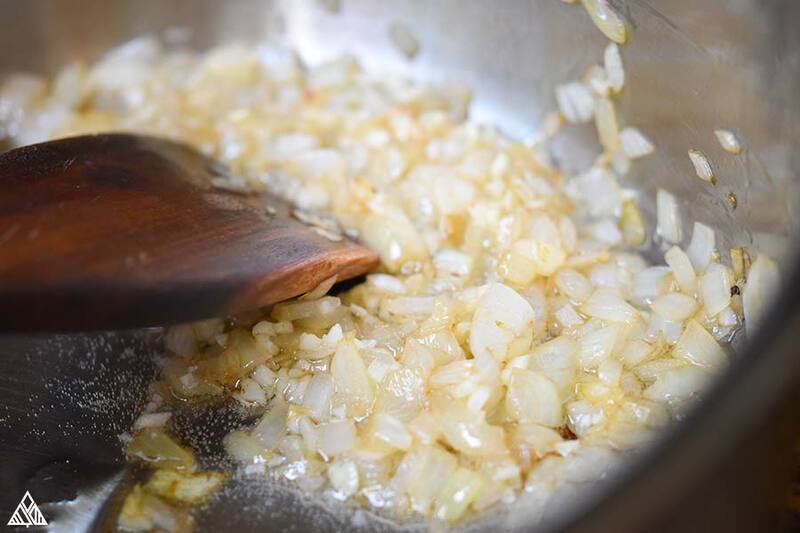 After the onion is translucent, stir in the garlic and continue to cook for about two minutes. Get ready for another sensory boost! Mix the rest of the ingredients into the pan: diced tomatoes, tomato paste, basil, oregano, salt, and pepper, stirring until all is combined. Once everything is in, you’ll want to bring the heat up until a simmer starts. From there, you’ll cook the sauce until a desired thickness is reached. I usually cook my low carb spaghetti sauce for about 20 minutes. And boom! 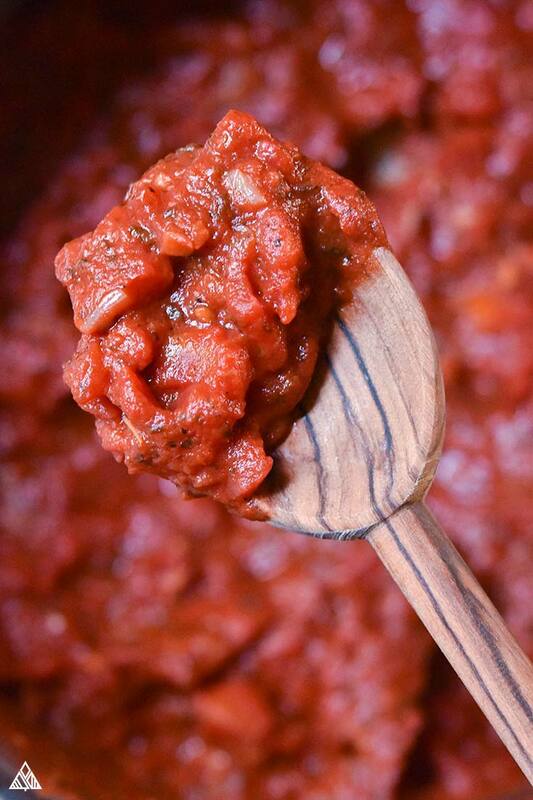 Just like that, your low carb spaghetti sauce recipe is ready to be served over your favorite low carb noodles or other low carb vegetables. Easy peasy, spaghetti breezy! So, you’ve got your keto spaghetti sauce down, now what?! To be honest, this is one of those low carb recipes that can be added to anything and taste delicious. Serving this sauce over low carb pastas that’re already prepared and packaged from your local grocery store. When pairing these noodles with an already sugar free spaghetti sauce recipe like this one, you’ll have a nutrition boost on both sides. Shirataki noodles — these are thin, translucent noodles, made from the konjac yam. These noodles are often zero-calorie and very low carb, making them a great option to top with this low carb spaghetti sauce! Plus, they come prepared right out of the package for very low maintenance, low carb meal prep. THESE ARE AN ACQUIRED TASTE! Test out these noodles to be sure you enjoy their flavor. Black bean spaghetti — these are higher in TOTAL carbs than the 2 options above, but SO full of protein and a staple in my pantry! If your keto eating plan allows, I recommend giving them a try! 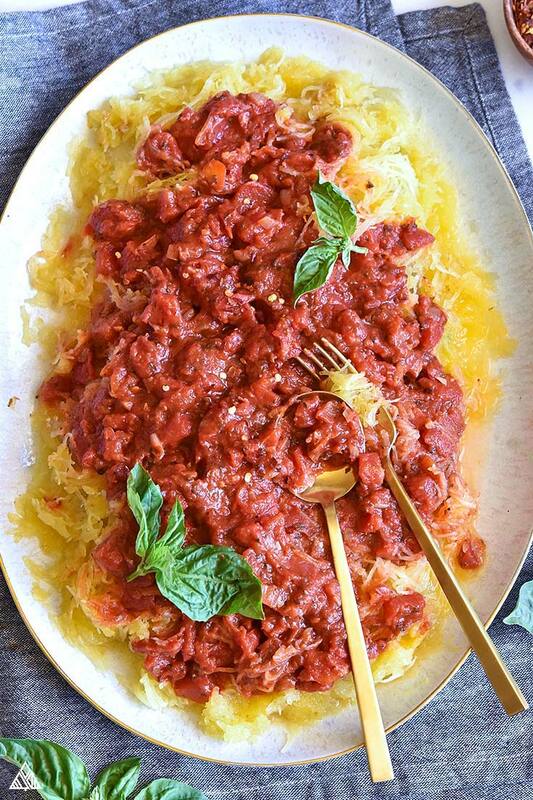 Keto spaghetti squash is another great option if you want to keep the meal in the veggie family. Spaghetti squash will just need to be roasted in the oven, then scraped into noodles for a carb friendly option that yields a lot of keto pasta! Also, the low carb spaghetti sauce can be a great topping over some low carb vegetables. Simply slice some fresh zucchini or yellow squash into rounds — this will add a little bit of texture and crunch if you’re craving it! You can also sauté these veggies before topping them with sauce, to add a sweeter flavor and more balanced aroma. Or keep them fresh! If you want to add some protein into the mix, serve this low carb spaghetti sauce over meats — spaghetti sauce over a grilled chicken breast can be a great way to add some pizzazz to your protein. Or, use some lean ground beef to create a meat sauce for low carb dinners you’ll crave week after and week! You can also keep the sauce on the side and use it for dipping! Either with a no crust pizza or low carb pizza, this savory sauce makes for the perfect accompaniment to any meal. Like I said, low carb meal plan ideas abound! For those of us who are constantly running around and need healthy, rewarding keto meals in a bind, this low carb pasta sauce will hit the spot! Low carb foods that end up being the easiest to store and reheat are absolutely some of my faves — All you need to do to store this sauce, is to find an airtight container and keep it refrigerated for a few days. If you make it in a big batch, or even double the recipe, then freeze leftovers for meal inspiration whenever you’re in a pinch! Reheating keto marinara sauce takes less than ten minutes and requires one small pot! Just make your pan is a thick-bottomed one, so you don’t burn the sauce when reheating it. Place a cover on top and cook over low heat. You don’t want that sauce splashing all over the kitchen! Adding other veggies into the mix, like bell peppers, mushrooms, or even more garlic, can all enhance the sauce and bring about new pockets of flavor. Plus, more veggies won’t break the bank when you plan your low carb food list. You can also use different or additional herbs. Maybe you’re a spice lover and want to add some red pepper flakes to the recipe. Have at it! You can even toast a few herbs ahead of time in a dry skillet over low heat in order to release their aromas and draw out flavors. Consider this a blank low carb spaghetti sauce canvas, and you’re creating your masterpiece! 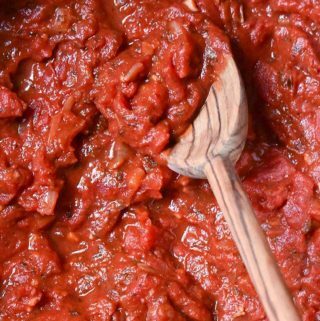 Turning this recipe into a low carb pizza sauce is nothing short of pure brilliance, because everyone loves a good low carb pizza. The way to do so is by cooking the sauce a bit longer than the original recipe requires in order to remove more of the liquid. This will help the sauce to become more sturdy for the pizza, and less runny when constructing. And just like that, we have a handful of low carb dinner ideas that are super simple to whip up. Plus, you’re getting a homemade sauce that’s made of high-quality ingredients without sacrificing hours in the kitchen. Who’s ready to cook!? Hope you enjoy this low carb spaghetti sauce recipe. Let us know what you think in the comments section below! If you're looking for one of the easiest recipes for low carb spaghetti sauce, then look no further. Once you whip this one up you'll never go back to store-bought sauce. Once shimmering, add diced onion. Cook until translucent, about 12 minutes. Stir in garlic and continue to cook until fragrant, about 2 minutes. 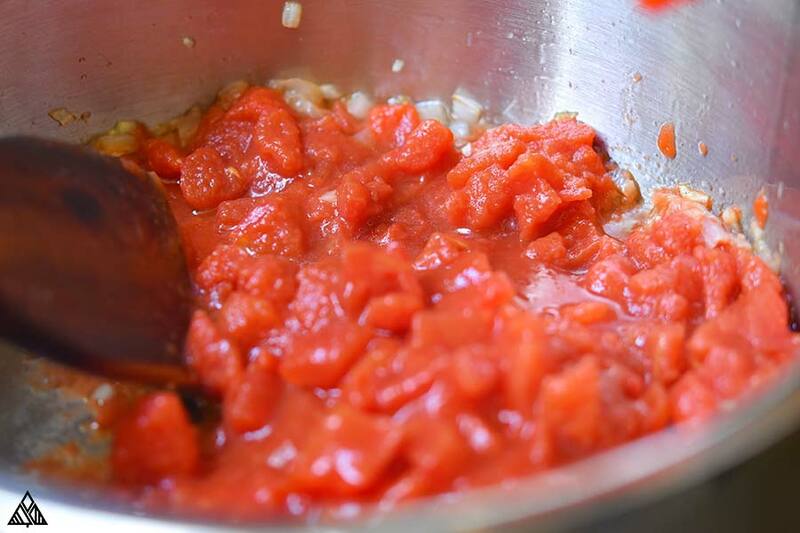 Add diced tomatoes, tomato paste, basil, oregano, salt and pepper and stir to combine. Bring the heat up to a simmer, and continue to cook until the sauce has thickened to your liking — I cooked mine for 15 minutes. Serve warm over your favorite low carb noodles and enjoy! Nutritional information will vary depending on how much liquid you cook out of the sauce. I was able to make 4 cups of sauce using this recipe, which means the nutritional information is equal to ½ cup. « Low Carb Smashed Brussel Sprouts with Pancetta! Addictingly Delicious!